The 1924 Club : A Confusing Challenge! 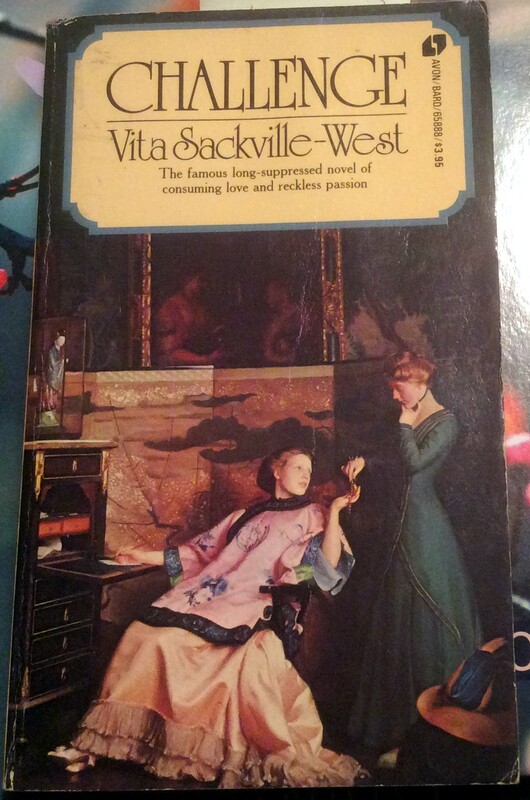 The Internet is notoriously unreliable, and a little confusion has arisen around one of the books we’ve been considering for the 1924 Club – Vita Sackville-West’s “Challenge”. 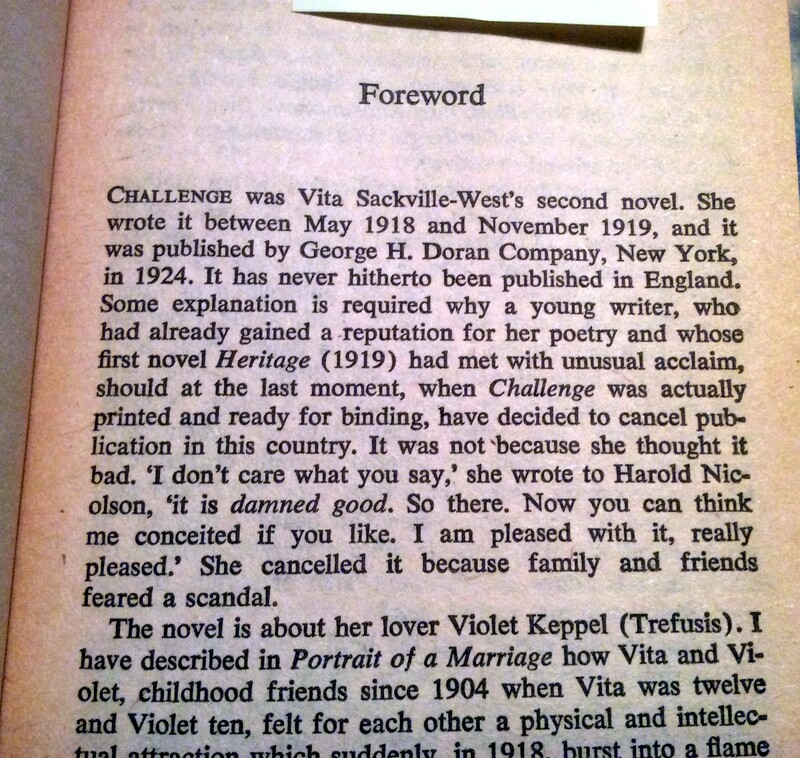 The crucial point here is the wording about the book being suppressed, as it wasn’t published in the UK during Vita’s lifetime – only in the USA, and that’s where the 1920s date comes in. 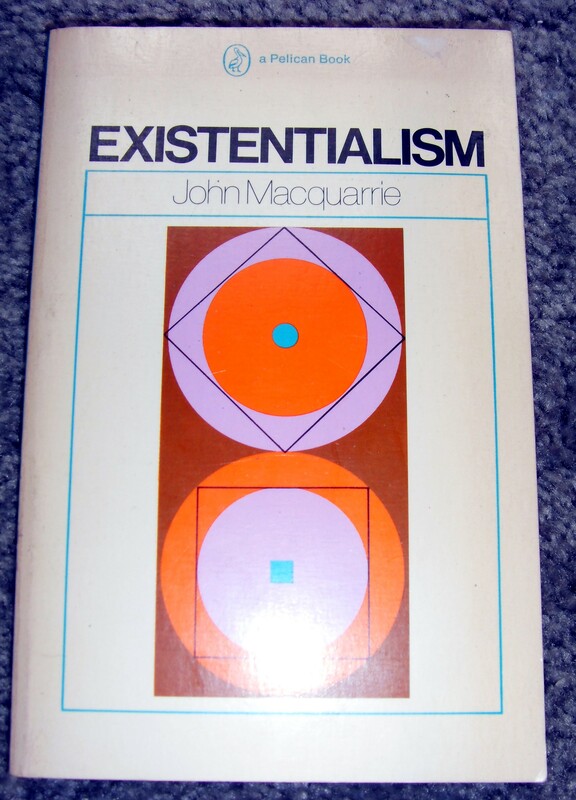 So I had a look inside to see if the first publication date was given, but it wasn’t – only some later dates in the 1960s and 1970s. 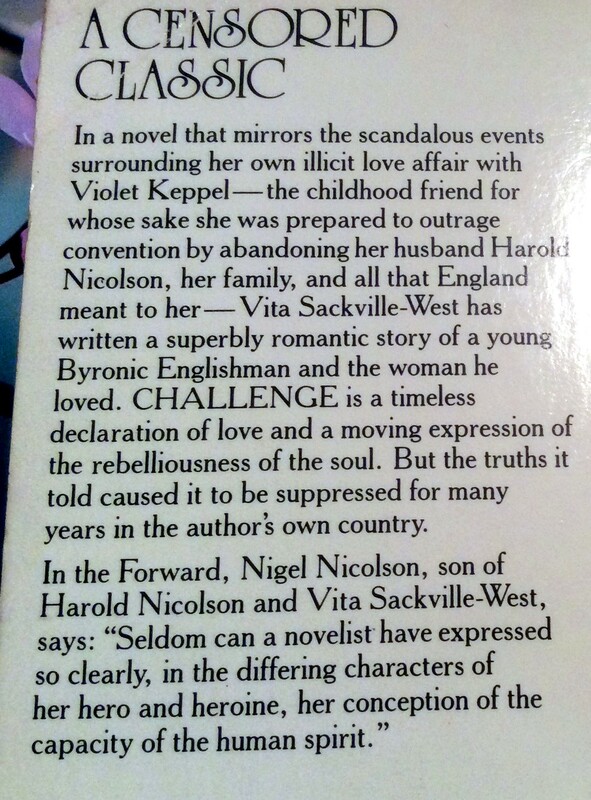 However, the book’s foreword came up trumps! 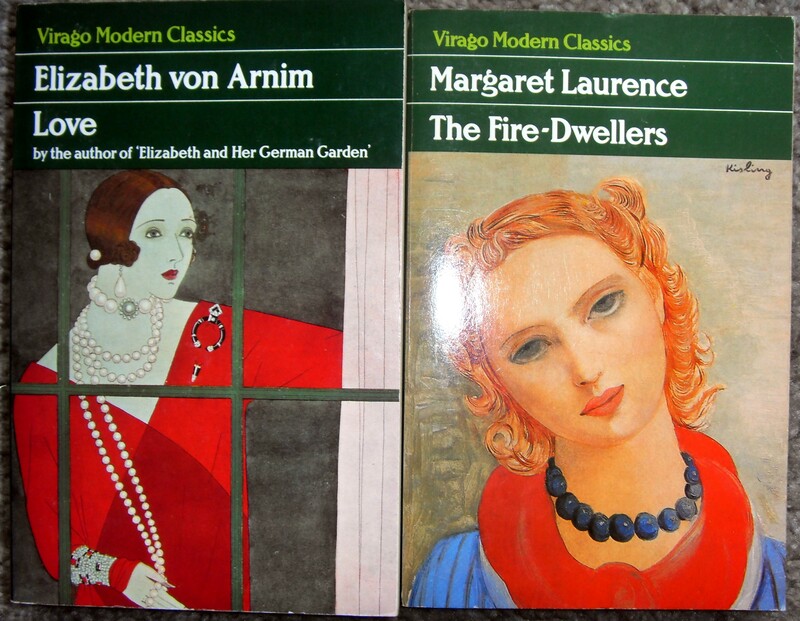 Well, the good news is that I got out of the Oxfam this week with no new volumes…. The O’Brien is a particularly lovely cover! 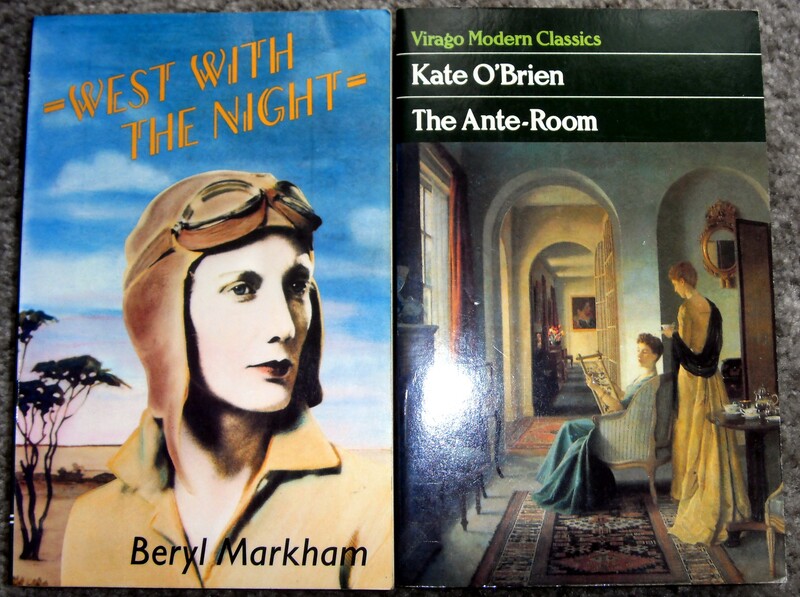 I think I already have the Markham but if so I shall offer the dupe on the LibraryThing Virago thread! I’ve never seen either of these titles before, which was very exciting! 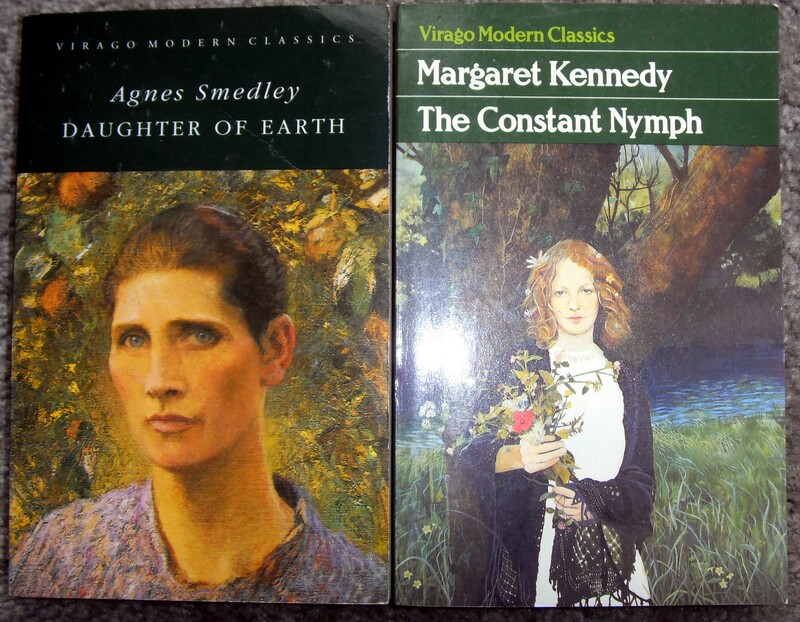 Yes, I *know* I already have two copies of “The Constant Nymph” in the house, but this one is in lovely condition and the other two are frankly not, so I’m happy to have a nice one! 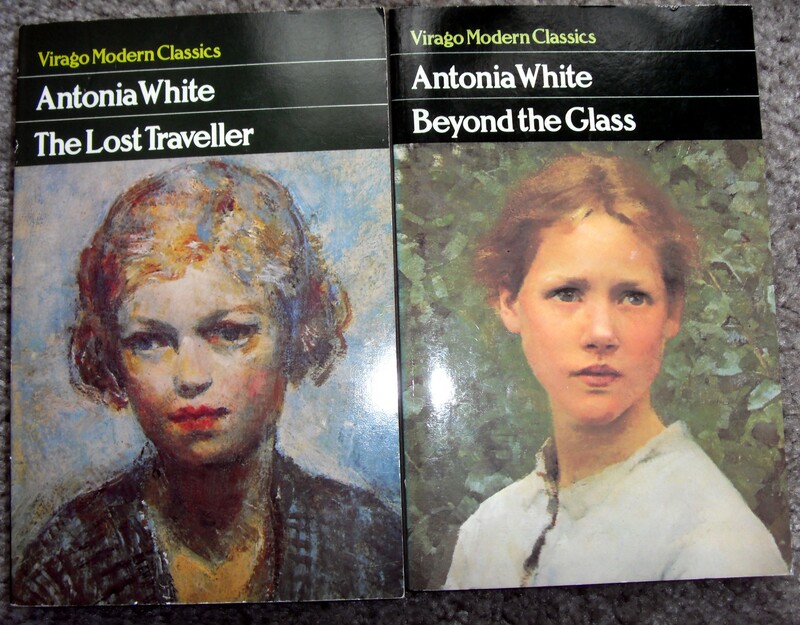 Finally two Antonia Whites. I already have a complete set but may be able to upgrade the ones I have and offer these on. The best bit? 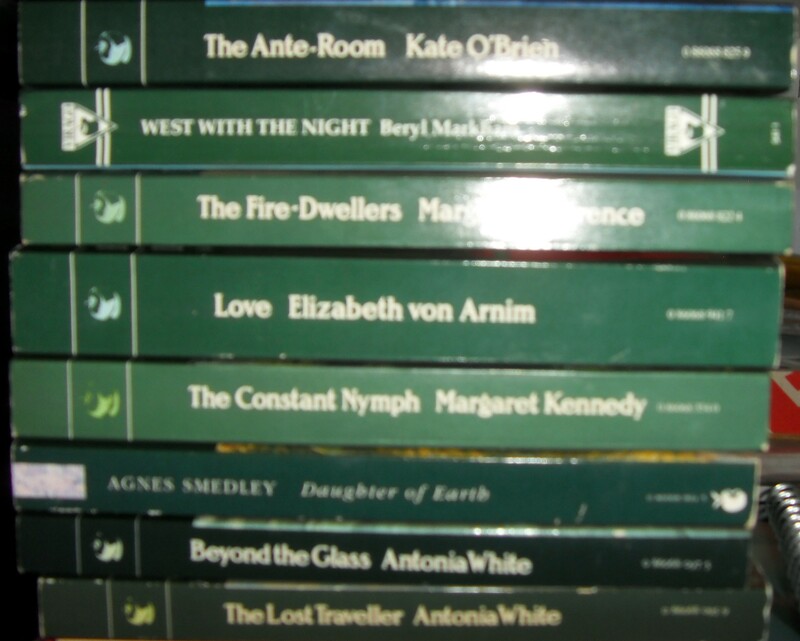 They were 99p each….. Phew!!!!! Having just finished a wonderful review book (“The Spy who Changed the World” – review to follow later this week), I’ve gone for a complete change with “Eve Rhymes: Sylvia Plath’s Art of the Visual”, a beautiful hardback book which was a gift from Youngest Child a while back. So far it’s excellent, but it’s having the effect of making me want to re-read and re-evaluate everything of Plath’s I’ve ever read – which could be time-consuming…..